Disney Company Drops YouTube Star PewDiePie Over Anti-Semitic Jokes : The Two-Way More than 50 million people are subscribed to videos by gamer and comedian Felix Kjellberg. Now he's lost a lucrative contract with a Disney-owned firm, The Wall Street Journal reports. Felix Kjellberg, better known as PewDiePie, signs copies of his book This Book Loves You at a Barnes & Noble in New York City in 2015. A prominent YouTube star has lost a lucrative contract after The Wall Street Journal pointed out a series of anti-Semitic jokes and Nazi-related images in his videos. Felix Kjellberg is better known as PewDiePie — a profane, prolific video producer and comedian. He rose to prominence largely through videos of him playing video games, but now creates a wide range of popular videos, from pranks to sketches to commentary. He's the most popular video producer on YouTube, with more than 50 million subscribers. His videos have been watched, collectively, billions of times. In a report on Monday, the Journal noted that Kjellberg's popularity led to a "multimillion-dollar" deal with Walt Disney Co., which owns Maker Studios, a firm that handles Kjellberg's business. "Since August, PewDiePie has posted nine videos that include anti-Semitic jokes or Nazi imagery, according to a review of his channel by The Wall Street Journal. "On Monday after the Journal contacted Disney about the videos, the entertainment giant said it was severing ties with Mr. Kjellberg." Kjellberg is also the star and creator of a show featured on YouTube's new paid service, YouTube Red. Engadget reported Tuesday that YouTube has canceled the second season, and is removing Kjellberg's channel from the "Preferred" category. "Kjellberg will still be able to run ads against his videos, but will likely see a drop in revenue," the site reports. Three of the nine videos flagged by the Journal have since been pulled down, apparently deleted by Kjellberg. After a long pause, Kjellberg said, "I'm sorry. I didn't think they would actually do it. I feel partly responsible. ... I mean, I gotta give them five stars for an outstanding experience because at least they did what I asked." In other videos, Kjellberg donned a Nazi-style cap, showed images of swastikas and pretended to try to resurrect Adolf Hitler. In many cases, he was mocking the media for characterizing him as "racist." 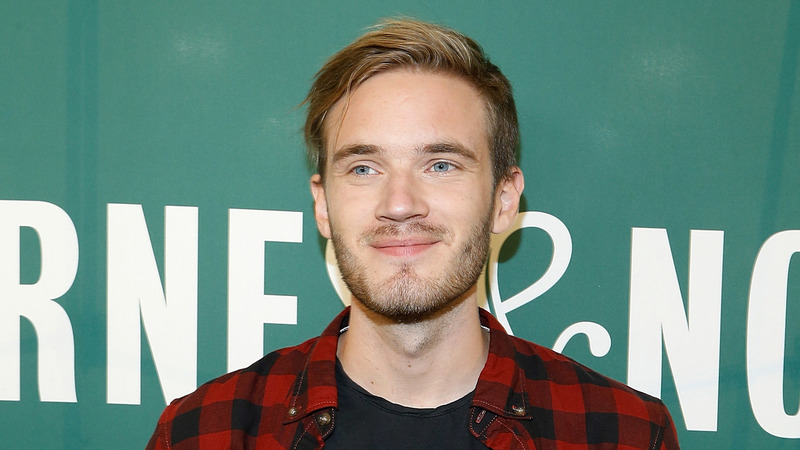 Kjellberg defended the anti-Semitic content of his videos as jokes, taken out of context by their critics. In one of the videos, now deleted, Kjellberg said, "We're going to have to start separating what is a joke, and what is actually problematic," according to the Journal. "I think of the content that I create as entertainment, and not a place for any serious political commentary. I know my audience understand that and that is why they come to my channel. Though this was not my intention, I understand that these jokes were ultimately offensive. But Jonathan Vick, an associate director of the Anti-Defamation League, told the Journal the apologies were insufficient. "Just putting it out there brings it more and more into the mainstream," he told the newspaper. "Some may ask 'Is Pewdiepie really racist? Is he really a Nazi? Does he really want to kill all Jews?' Who knows. He could be doing all this only to cause a stir things up and get free publicity. Ultimately, it doesn't matter, since the effect is the same; it normalizes Nazism, and marginalizes our enemies." Bloomberg News notes this is not the first time Kjellberg's videos have gotten him in trouble with major tech brands. "Twitter Inc. briefly suspended his account last year after he posted a profile picture that could be viewed as obscene," Bloomberg writes. "Kjellberg made matters more confusing by claiming, in jest, that he had been suspended because he had joined the Islamic State."